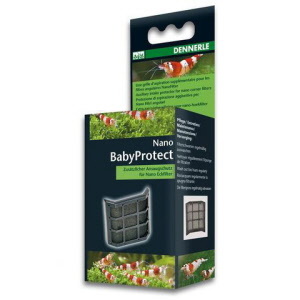 The Dennerle Nano Corner Filter is suitable for smaller aquariums from 2.5 Gallons to 10.5 Gallons (10L – 40L). This high-performance device has a pump delivery rate of 39.6gph (150 l/h). The pump is nearly silent with a low power consumption of just 2 W to conserve energy. This is a highly adaptable filter with an infinitely adjustable flow rate and a filter outlet that can be rotated 90° to direct flow anywhere you need. The unit is equipped with a nozzle tube that has an integrated cleaning slide and a small brush for easy cleaning of the nozzle openings. 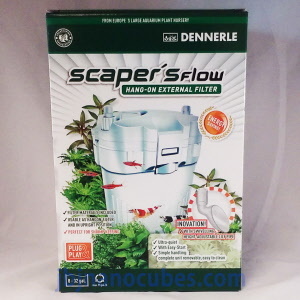 Dennerle has taken extra precautions to ensure that this filter is safe for baby shrimp. The intake openings are very narrow and the extra fine-pored preliminary bio-foam keep the young shrimp from getting caught inside. 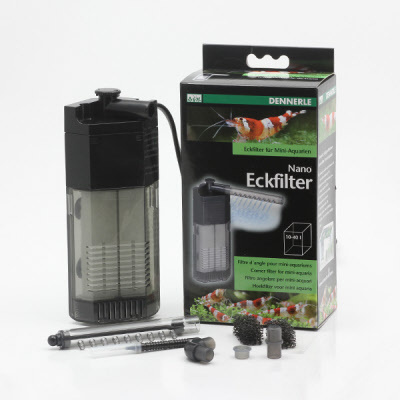 Cleaning the filter element is as simple as grabbing the outflow pipe and pulling the filter forward. 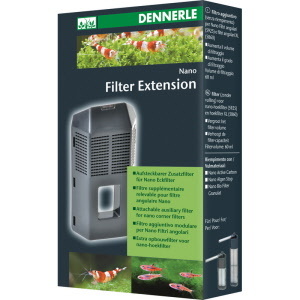 The back half of the filter will remain in the aquarium. 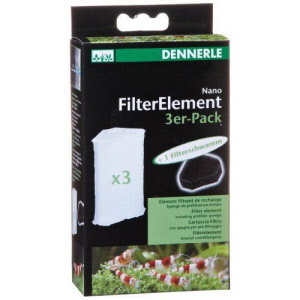 In order to avoid harming the filtering bacteria, wash the filter element in a clean bucket with aquarium water.